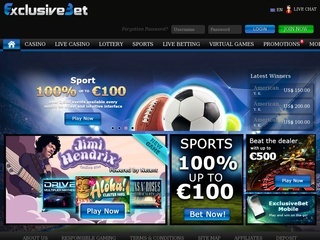 Exclusive Bet is one of the newer online bookmakers. The website launched in 2012 and has been building a solid reputation and player base for four years now. The bookie is registered and licensed in the jurisdiction of Curacao (Netherland Antilles) and operates as a part of the OddsMatric group. One of the main selling points of the bookmaker is the full Casino section, which is the primary focus. There are some juicy welcome bonuses and offers any player can receive. The website itself has been gaining traction and popularity ever since it launched. We all know how hard it can be to create a successful online sports bookmaking and casino business nowadays. The market itself is saturated with hundreds of bookies, and it’s becoming harder and harder to fill a new niche in the branch. However, quality of service and variety of games will always prevail and skyrocket a relatively new bookmaker towards the top 100. The design of the website is quite sleek, with various shades of blue, black and gray colors. Usability is excellent, and every button is where it should be. The user experience is among some of the best I have seen on betting websites. If you have to wait for a match, game or only want to see what will happen in live betting, you can just play a small game in the sidebar. You can choose from blackjack and roulette. Exclusive Bet also offers a mobile version of their website which you can easily obtain by scanning a QR code. The app is supported on Android and iOS, with a mobile website version if you do not wish to download any additional software on your phone or tablet. The sportsbook section of Exclusive Bet offers a variety of sports to choose – eighteen, to be precise. Some of the popular sports like football, tennis and basketball are there, as well as darts, snooker, and various specials. I was delighted with the sports availability on the bookie’s website. Of course, Football takes the cake with markets offered – 13663 at the moment of writing, followed by Basketball with 340. This is a tremendous amount of football games played all around the world. If you are a good game analyst or only want to recreationally bet on new teams – you can do it on Exclusive Bet’s website. 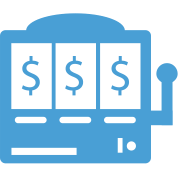 Live betting is also supported – the odds are great and dynamic. You will never have a dull moment with your favorite games. The great Casino Games section on Exclusive Bet contains games from seven providers. Net Entertainment, Play n’ Go, Microgaming, Betsoft Gaming, EGT, 1X2Gaming and WorldMatch all supply an enormous amount of casino, slots, table, video, poker and miscellaneous games for your pleasure. Aside from the vast choice, players can win very nifty rewards from virtually any machine they choose. Some of the most popular games are Starburst, Dead or Alive, Blood Suckers and Twin Spin. If you are not into slots, you can test your luck in the Jackpots together with other players, or spend some quality time with the Scratch Cards. The live casino section is full of tables you can sit at any time you want to. Most, if not all of the tables are available 24/7, so you can almost certainly play with your favorite dealer. The supported games are Roulette, BlackJack, Baccarat and Casino Hold’em. Sadly, Exclusive Bet does not offer poker tables at the moment, so if you are here because of your poker passion, better look elsewhere. Odds on Exclusive Bet are competitive, although not as good as the most popular bookies out there. Granted, players can usually choose from 30-40 markets on football games. Some of the most popular betting options are Double chance, Asian Handicap, Anytime Goalscorer, Winning Margin and HT/FT. 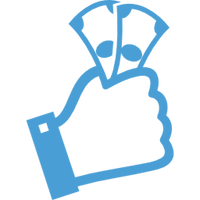 There are many more, some of them are well-known, some are not, but one thing is sure – you can win a lot of money with this bookmaker. Exclusive Bet utilizes an excellent and easy on the connection encryption, provided by RapidSSL. The company is known for their affordable security solutions and high trustworthiness. Aside from the technicalities, Exclusive Bet own a Kahnawake Gaming Commission certificate for good standings and fair play. Those two facts should give you a good reason to try the bookie out! The customer service is great and can be contacted by telephone, email and live chat. Players can view the website in a plethora of languages, from French, Italian, through Turkish and Portuguese. The overall number of available translations is twelve, quite a lot to cover most of the world. You can deposit and withdraw money from your Exclusive Bet account using the most modern options. Credit cards are supported, as well as some e-wallet solutions. Overall, the money processing is fast, with some small exceptions. Currently, the bookmaker offers eight various promotions. The most notable are the Sportsbook welcome bonus – 50 EUR cash on your first deposit up to 100 EUR (deposit 50 EUR and get 50 EUR bonus). Of course, there is a rollover requirement up to 6 times on bets with odds equal or bigger than 1.6. Very interesting promotion is also the 10% Cashback bonus. It is a 10% bonus on all deposits made between Friday and Sunday and it has the same rollover requirement as the welcome bonus one (6x and odds higher than 1.6). ExclusiveBet offers a tempting 500 EUR Casino bonus (250 EUR deposit, get 250 EUR bonus). The requirement is the whole amount to be played x40 times before cash out. Also there is 25% bonus for second deposit up to 250 EUR. There are various ladder rewards; monthly top-up events, weekend bonuses with cash back and some reload bonuses. All the better reasons to test Exclusive Bet out yourself!